Coincidentally, the organization founded by my two sisters-in-law, Partners in Care, received the award the very next day, which certainly made my mother-in-law extremely proud to have such recognition of all the women in her family! 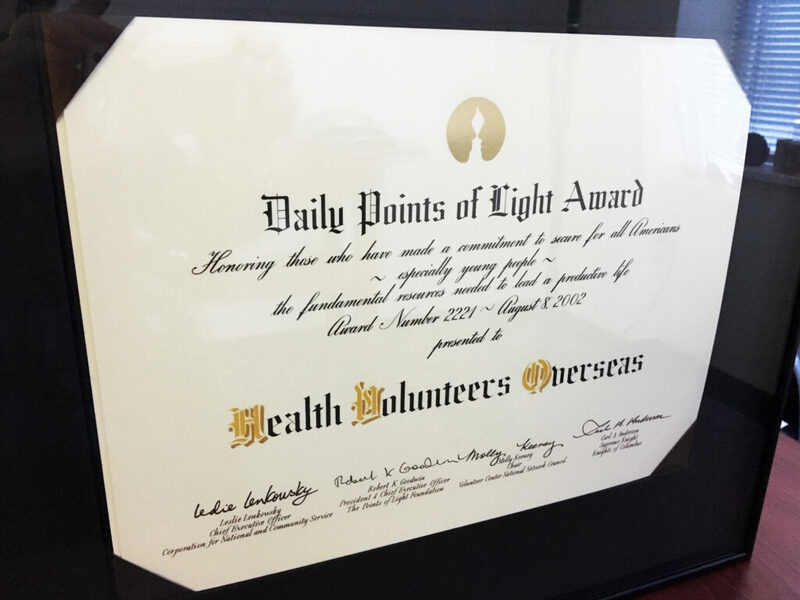 I hope that each of you will strive to be a “point of light” in your life; doing so makes the world a kinder, gentler place, as President GHW Bush said. That is so nice to hear about this recognition.. Glen and I are very proud to have been a part of HVO for almost 30 years, volunteering and teaching in Orthopaedics and Medicine at several sites around the World. HVO is a wonderful organization that makes such a difference all around the world !